You must have known that I love vintage style a lot! 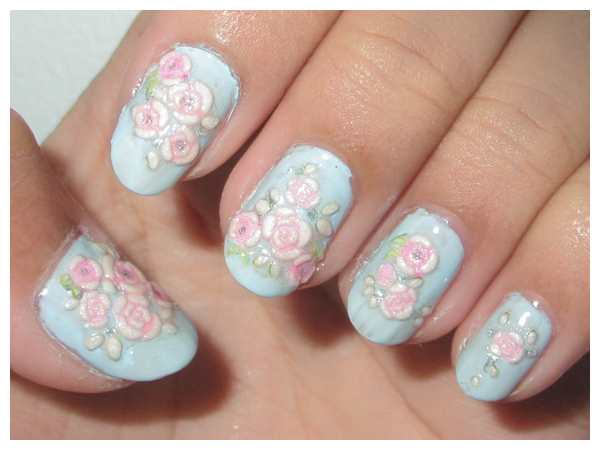 Now I want to share my Floral Vintage Nails that I did few days ago. 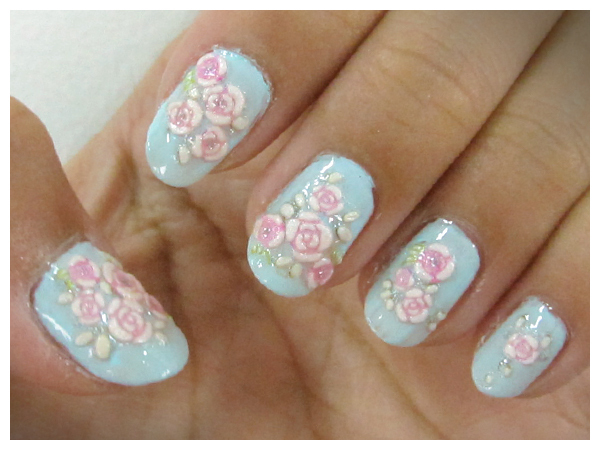 Using pale blue nail polish and floral nail sticker. I know it's messy XD (I'm not good in applying nail polish) but I love it!! Hoho.. It looks sweet, feminine and romantic. Here it is with & without flash..
1. Apply base coat on your nails. 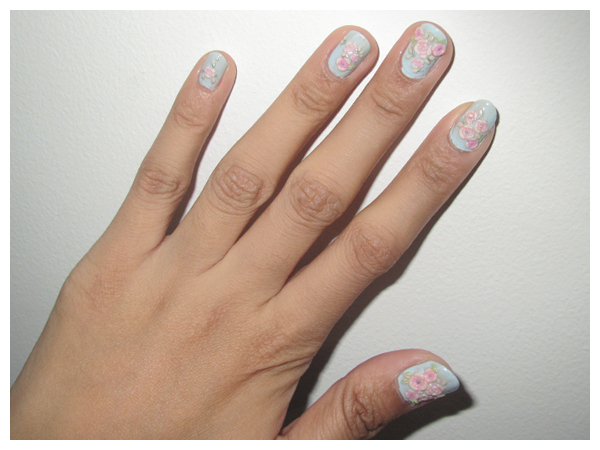 I'm using Missha The Style Lucid Nail Care. Wait until dry. 2. Apply pale blue nail polish on it. I'm using Face Shop BL601. Apply quick dry top coat on it. I'm using Face It #06 from Face Shop. 3. Repeat step 2 on it (second layer) to make the color more solid. 4. 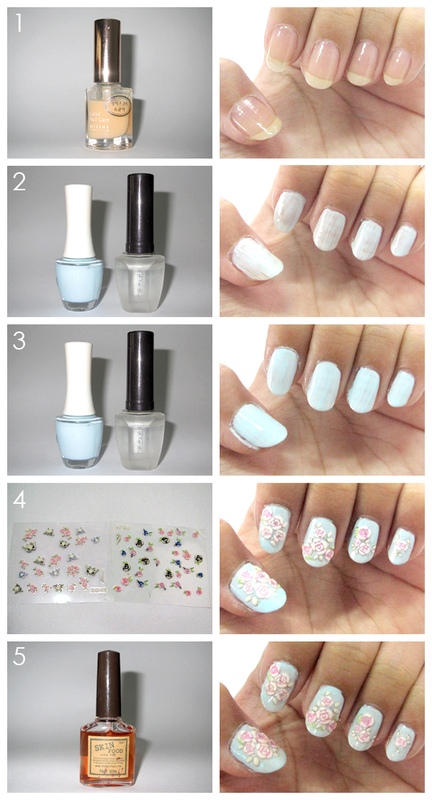 Paste some floral nail stickers randomly on each nail. It's not bad from this far.. XD What do you think?